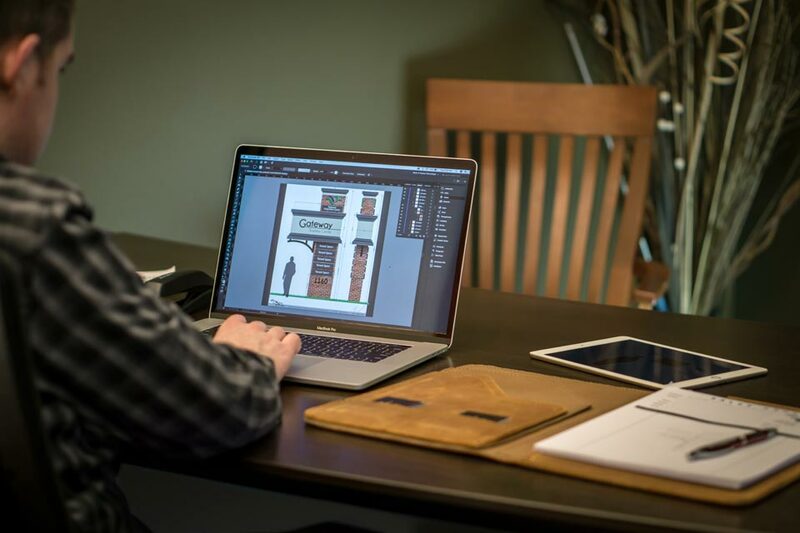 Our team of award winning designers are ready to assist you in creating the perfect product. We use a variety of computer software to give you realistic proofs and renderings so that you can visualize your project before it is even started. We offer design services for all of our products as well as logo and business card design and printing. 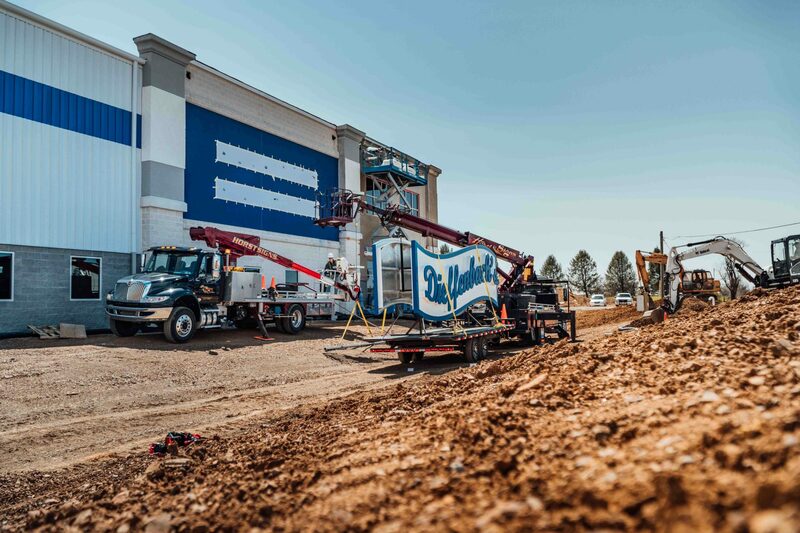 Our in-house fabrication team uses the highest quality building materials and automotive grade paint. 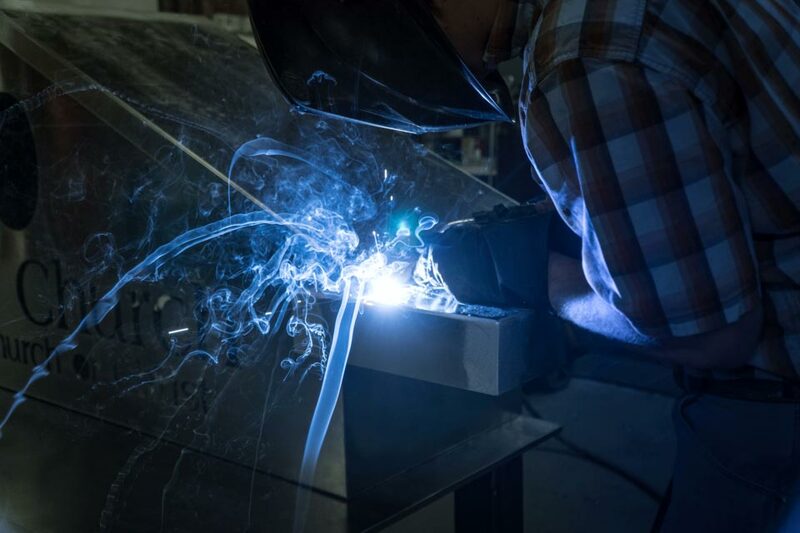 With years of experience in welding, painting, electrical and sign making in general, we pay special attention to each project to bring you the best quality possible. Our equipment is kept updated to give us everything we need to meet the demands of modern sign making. We handle permit acquisition in-house to save you time and hassle. Our staff has a broad working knowledge of the permit requirements in many municipalities. 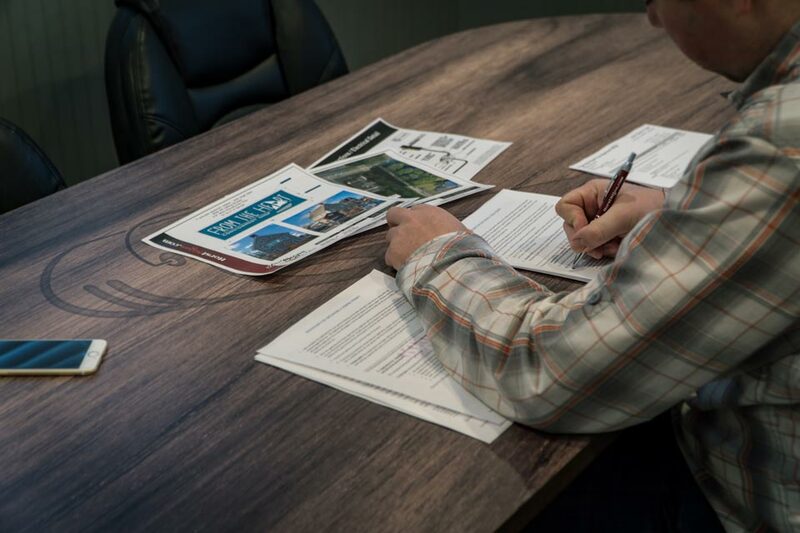 We can supply all paperwork needed in the permitting process, as well as stamped engineered drawings, to keep the process streamlined and efficient. Should your proposed sign require a variance, our staff is trained to support you with representation at a zoning hearing. With an experienced team and state of the art equipment, we offer full service installation of all our sign products. Our installers have training in welding, electrical, excavation, foundations, vinyl application and more. We all know even quality products require maintenance. Our knowledgeable and friendly team of service professionals can assist you in those downtimes. We can restore aging signs, replace lighting fixtures, retrofit to LED lighting, diagnose electrical issues and more. 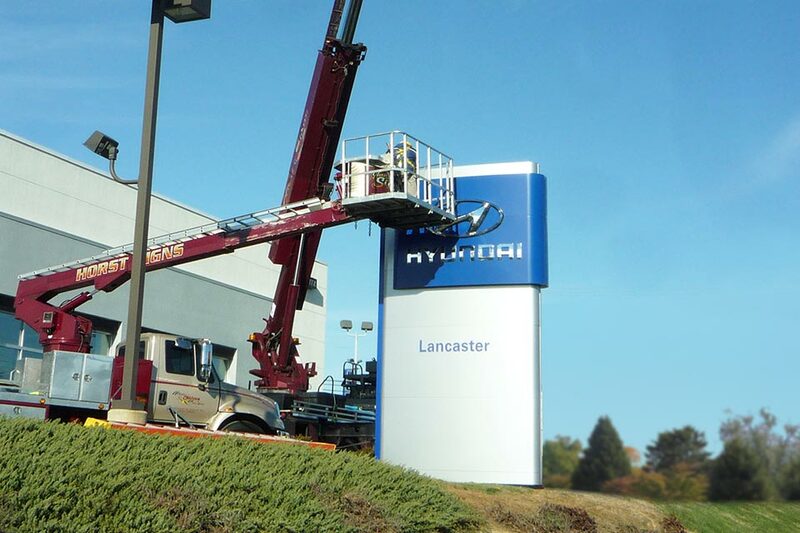 With our bucket trucks, most signs are within our reach and we will have you back in business as quickly as possible.